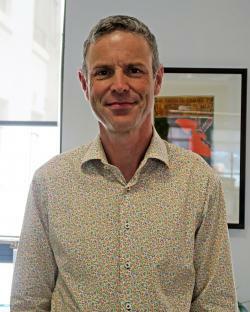 Dr Richard Medlicott is the Medical Director at the Royal New Zealand College of General Practitioners. He is a GP from Island Bay in Wellington with a keen interest in health IT, health governance and extreme sports. Richard advises the RNCGP Board, and CEO Helen Morgan-Banda on College matters on a both a policy and clinical level, and how those matters might impact on the care that GPs give. He is a practising GP, Director and Partner at Island Bay Medical Centre, where he has been based for 18 years. Island Bay is the second largest practice in Wellington with 11,000 registered patients. Richard is on the Board of Compass Health PHO and had a background in health IT. He is the clinical Lead on the Shared Care Record project, and a member of the Integrated Care Collaboration project between the DHB and PHOs. He is Past Chair of the Health Information Standards Organisation, the Primary Care Information Management Group, and past member of the International Health Terminology Standards Organisation. Richard is a member of the Primary Care special interest group for SNOMED International, which enables the uptake and correct use of terminology in health systems around the world. He was previously Medical Director for Medibank. Perfection and inaction are the enemies: Why and how healthcare organisations must digitally transform. In this presentation Lloyd will explore the drivers for digital transformation in health and successful strategies to embrace digital. He’ll provide practical examples of how private healthcare providers in NZ are moving to digital by default. Dr Lloyd McCann is the Chief Executive Officer for Mercy Radiology and Clinics, and is the Head of Digital Health for Healthcare Holdings Limited. Lloyd’s medical background is in Emergency Medicine and he is also a fellow of the Royal Australasian College of Medical administrators. He is also currently a Beacheads Advisor for NZ Trade and Enterprise and a former chair of Health Informatics New Zealand. Whilst based in the UK, Lloyd worked as the Medical Director for Harris Corporation, Healthcare Solutions and was an elected member on the TechUK Health and Social care Board as well as a Technical Advisory Group Member for the Global e-Health Ambassadors Programme. He completed a mixed clinical and managerial fellowship at the Oxford University Hospitals NHS Trust in Emergency Medicine and Performance Improvement. Lloyd has worked across the public and private in New Zealand in clinical, consultancy and leadership roles and is currently an executive member of the NZ Private Surgical Hospitals Association. A high-level analysis of the need for modern standards to enable the New Zealand Digital Health Strategy and a brief introduction to two of those standards - HL7® FHIR® and SNOMED CT®. Peter Jordan is the Chair of HL7 New Zealand and a highly experienced software architect and developer specialising in healthcare information modelling, exchange and security. His involvement with standards began with the initial implementations of HL7® Version 2 messaging in New Zealand, back in the early 1990s; continuing, in recent years, with the NZ CDA Toolkit used in GP2GP patient record transfers and the NZ ePrescription Service; and now, increasingly, with the emerging HL7® FHIR® standard and SNOMED CT clinical coding. He is currently contracted, as a Solutions Architect, to Patients First Ltd, and working on sector-wide components and services in support of the New Zealand Digital Health Strategy. Peter’s three decades in the IT industry, spent in the UK and New Zealand, have included spells with vendors of both primary and secondary healthcare applications and various public sector organisations. He is also represents primary healthcare IT on the New Zealand Sector Architects Group Executive. Jon will talk about how innovation works (or doesn't) in healthcare technology, his observations of the current barriers, and his team's plan to help. Health care doesn’t just occur in the GP’s office. Patients are playing an increased role in enhancing their outcomes by actively participating in, monitoring, and making adjustments to their health regime using their personal mobile devices. Learn about new uses for mobile technology in the management of diabetes, blood pressure and smoking cessation. This isn’t your average presentation on mobile applications; learn how leading edge health care providers and networks are using artificial intelligence (AI) to drive the recommendations and patient interactions in mobile health care apps. Lori leads the Global Business Services, Public Sector business for IBM New Zealand, bringing her extensive government experience from North America, the Middle East, Asia and Australia. Her career as an innovator and leader has been centred on delivering organisational strategy projects, data-driven solutions to citizen issues, and multimillion-dollar cognitive transformation projects across multiple government departments and NGOs. An admitted “statistics geek”, Lori has assisted her clients to achieve meaningful, long-lasting, citizen and patient centred solutions by leveraging AI across unstructured data that enrich engagement and make it easier for families to get health care for their children, and which support wounded warriors returning from active duty military service with cognitive impairments including traumatic brain injuries and post-traumatic stress disorder. She led the US Air Force global EMR project, during which time she introduced many innovations including mobile technology for patient consent and IT improvements to better support medical guidelines and reduce unnecessary imaging costs. She also drove a US$3B supply chain optimisation for Kaiser Permanente, a large US group-practice health plan providing high-quality, integrated health care. Outside of IBM, she contributes her time to Hadassah Medical Center to support high quality medical services across the Middle East and North Africa to all, without regard for race, religion or ethnic origin. Lori is deeply invested in developing the next generation of “statistics geeks who want to save the world”, and spent four years as an Adjunct Professor at The George Washington University in Washington, DC, USA. She lives in Wellington with her husband and three happy, active children. We examine the rise of AI and machine learning and look at how this technology is being applied to see, sense and support decision making in medicine. We look at real world cases from around the world as technology is applied to advancing the way we think about medical care.